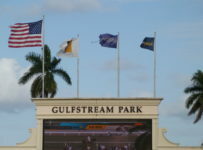 At both Florida tracks today, racing conditions are fast on the dirt and firm for the turf. 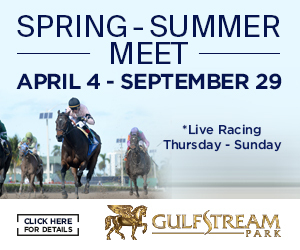 Gulfstream Park has an 11-race card with first post time of 12:35 p.m. Six races are scheduled for turf. 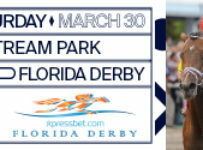 Tampa Bay Downs has nine races with first post of 12:05 p.m. Four races are scheduled for turf. 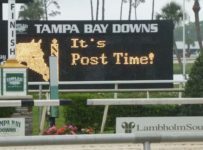 Because of wet conditions, Tampa Bay did not have turf racing this past Friday, Saturday or Sunday. 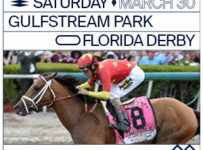 This afternoon, Tampa Bay’s entries will be out for its Saturday card that has four stakes races. 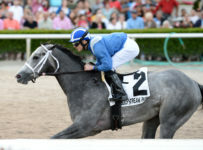 That includes the Sam F. Davis (Grade 3) at 1 1/16 miles on dirt for 3-year-olds. 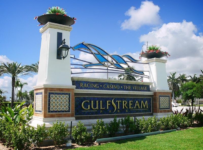 Also this afternoon, Gulfstream’s entries will be out for its Saturday card on which the only stakes is the Royal Delta (Grade 2) at 1 1/16 miles on dirt for fillies and mares 4-years-old and up. 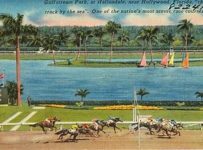 *Gulfstream has a carryover today of $665,816 on Rainbow 6. 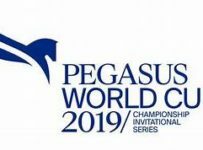 The sequence begins on the sixth race, with scheduled post of 3:05 p.m. 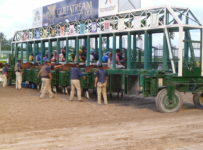 The Rainbow 6 is a 20-cent only per combination bet, with multiple horses permitted in each leg. 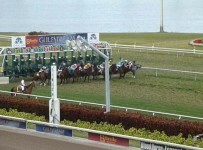 For example, a ticket with two horses in each race has 64 combinations and costs $12.80. 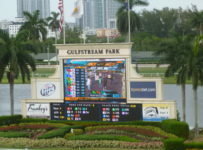 Gulfstream pays out the full Rainbow 6 pool of the day’s bets (minus the 20 percent takeout) plus the carryover only on days when there is just one ticket with all six winners. 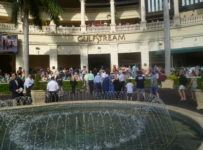 On other days Gulfstream divides 70 percent of the day’s bets (minus the takeout) among those bettors holding tickets with the most winners, while 30 percent (minus takeout) is added to the carryover. 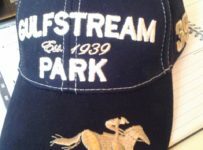 Gulfstream has gone 19 straight racing programs without a single Rainbow 6 winner. 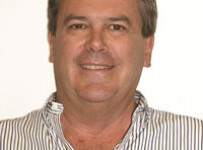 It was last hit on Jan. 13, for $76,799.40.